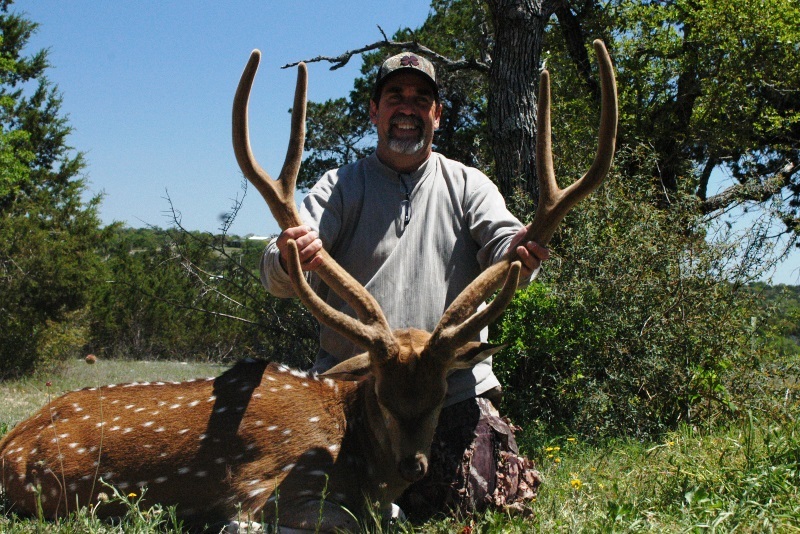 We have several herds of Axis, each with numerous trophy bucks. 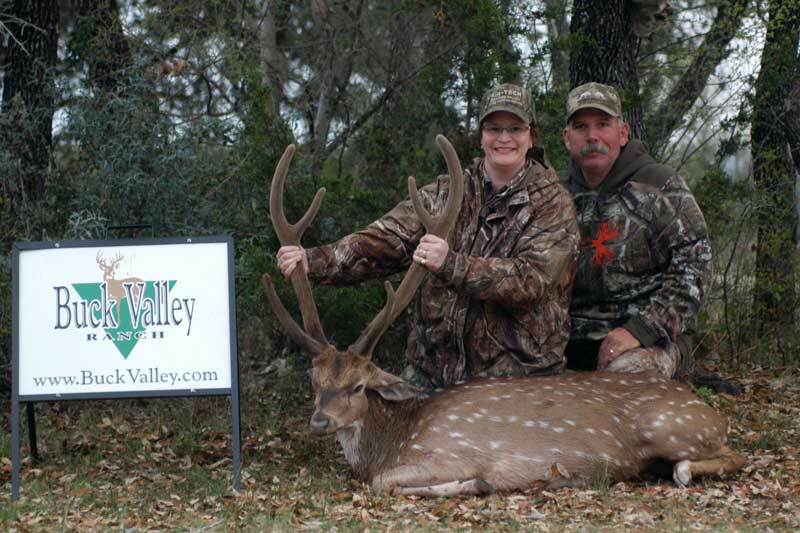 Due to their unique antler cycle we have trophy Axis in velvet and hard antler available to hunt year round. 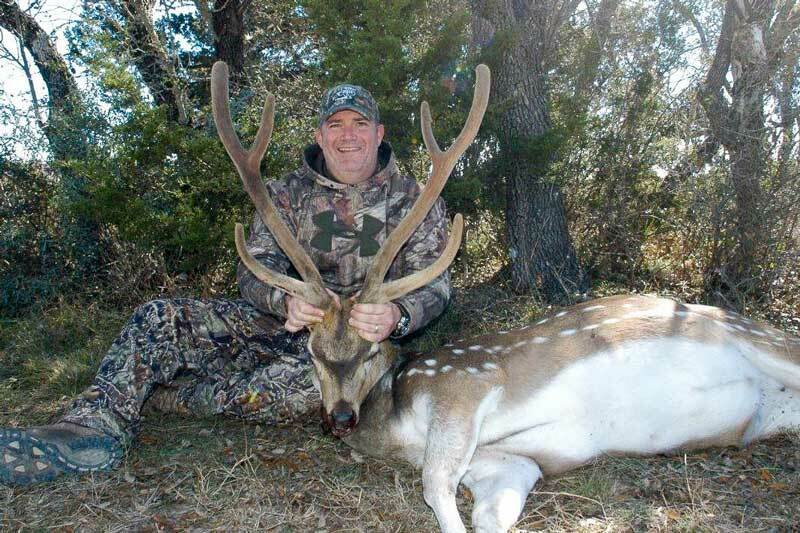 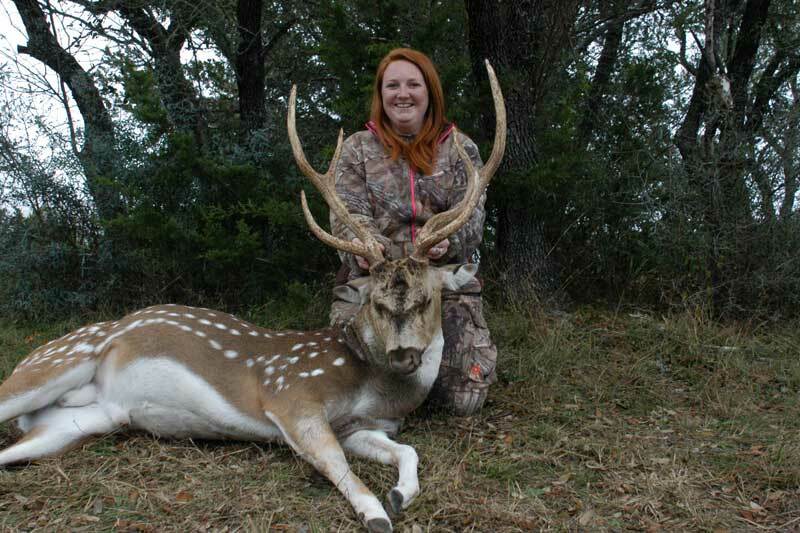 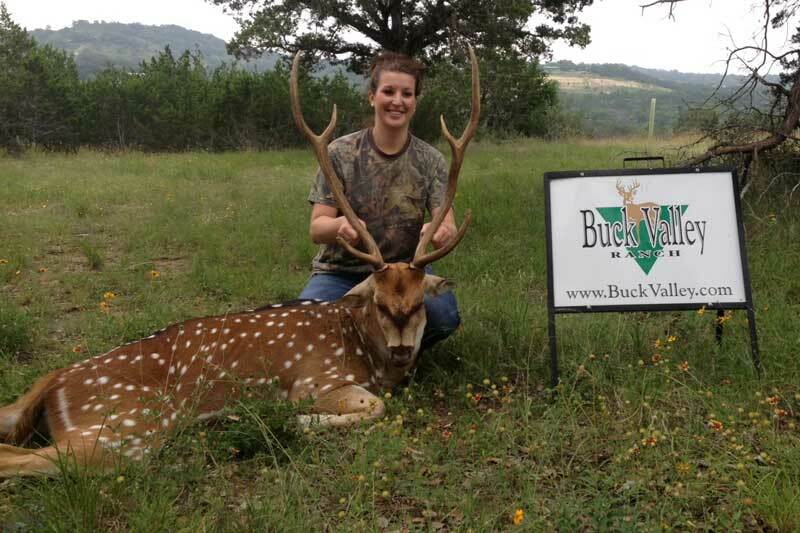 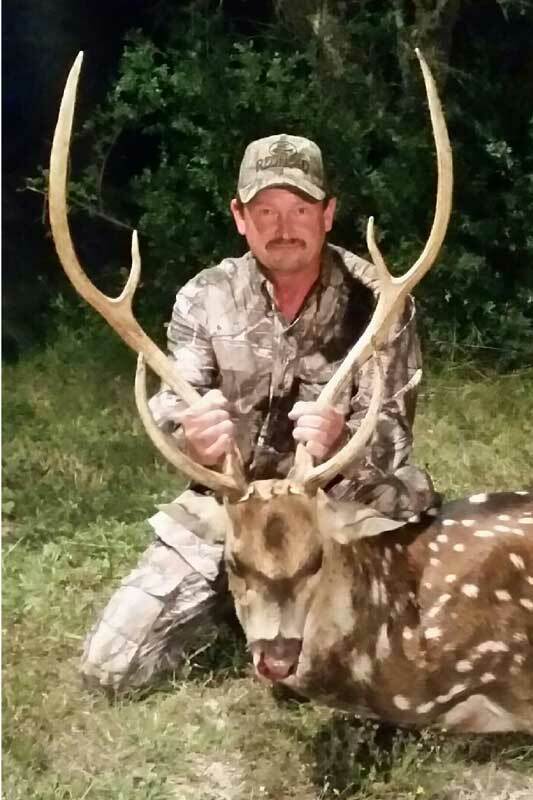 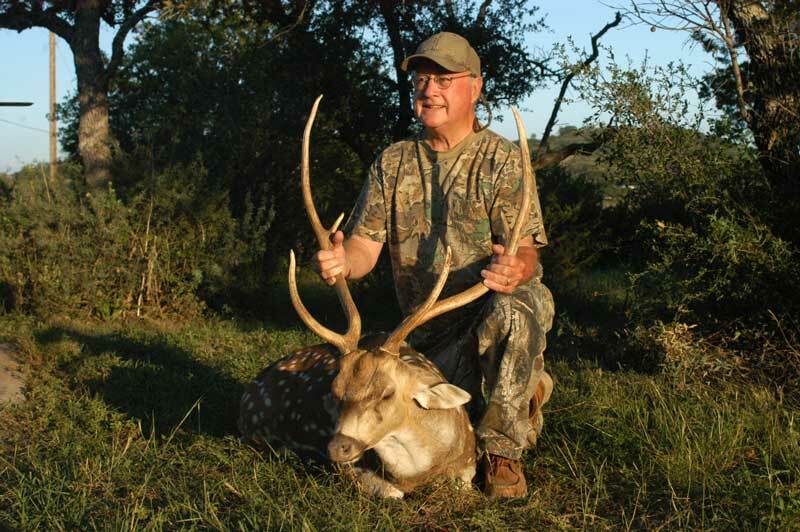 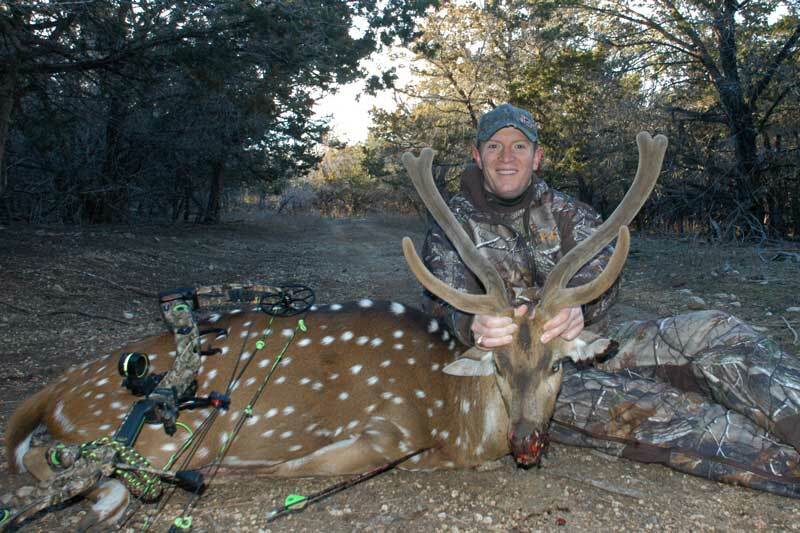 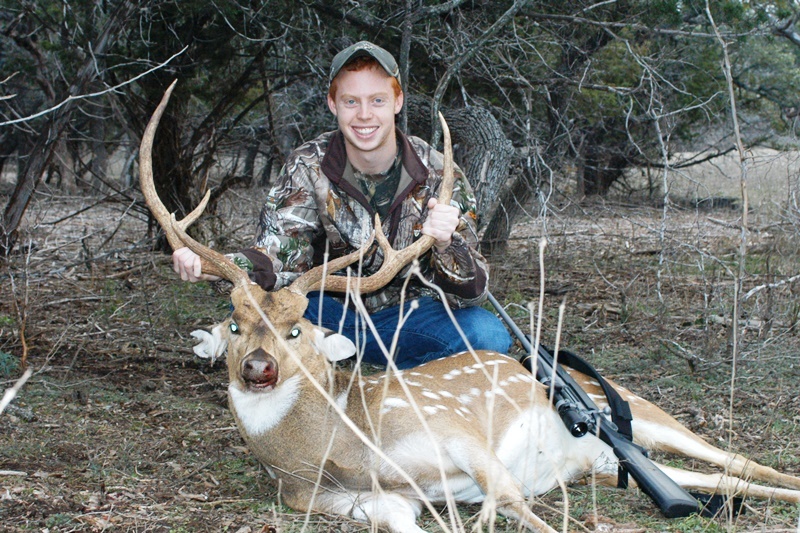 While on your Axis hunt you’ll also see other game we have on the ranch. 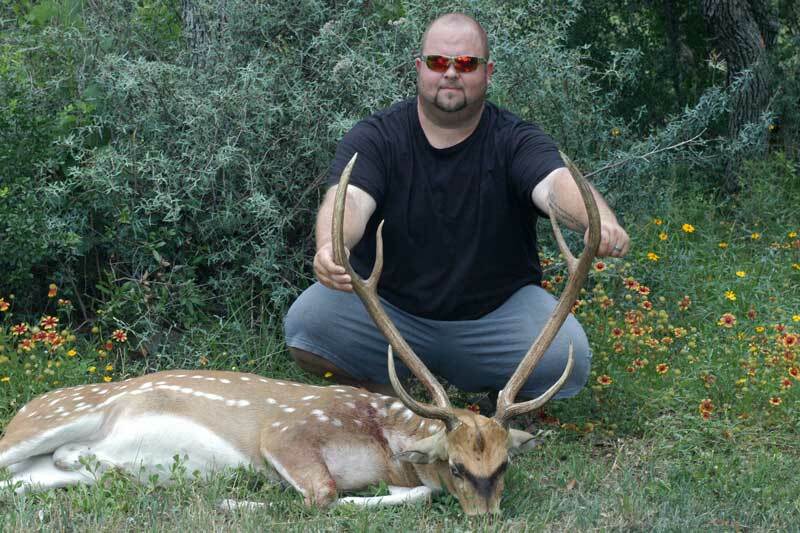 While we can show you 28-32 inch Axis year round, spring to early fall is prime time for Axis trophies greater than 34 inches. 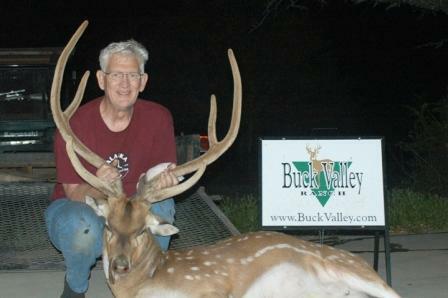 In fact we’ve had several Axis larger than 35 inches taken during the spring and summer. 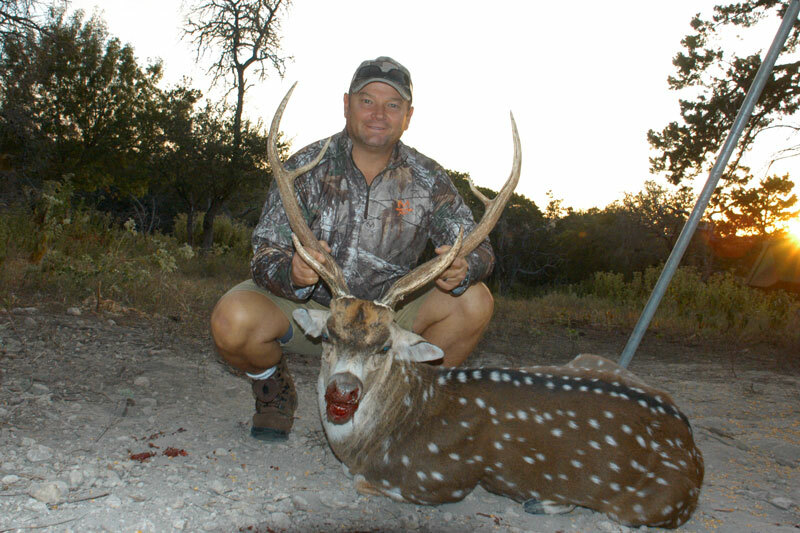 Because the majority of hunters view fall and early winter as their primary hunting season, fall and winter Axis are more heavily hunted. 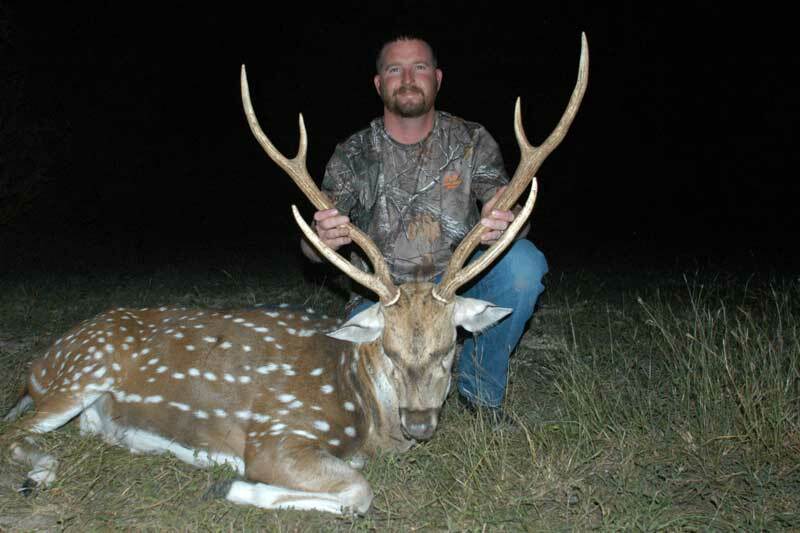 Axis with hard antlers in the spring to early fall are hunted less and therefore tend to be more plentiful, older and larger. 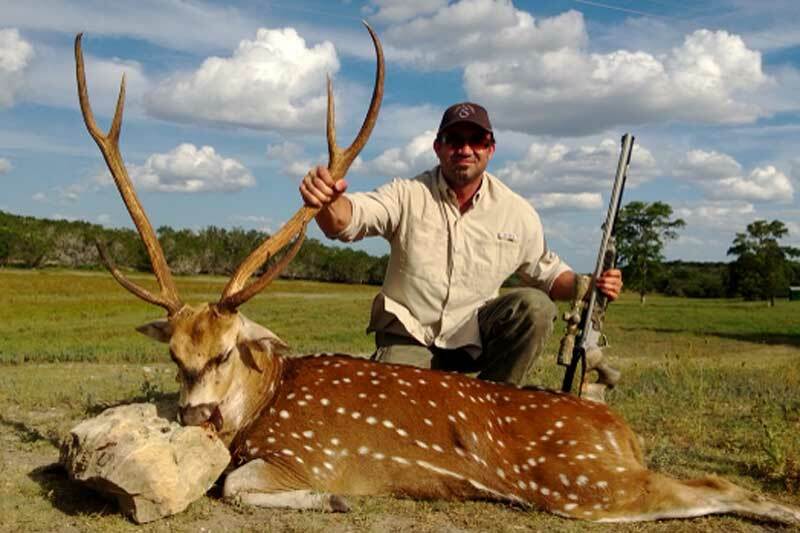 Axis have a unique reddish-brown coloration made distinctive by a white dusting on their throats, stomachs and tails, a black strip running down their backs and life-long white spots. 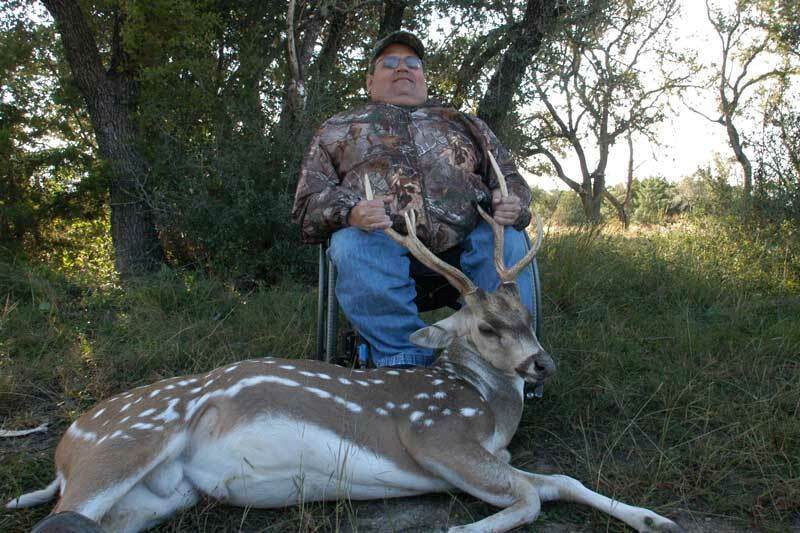 Bucks can weigh as much as 250 pounds and does frequently weigh a little more than 100 pounds. 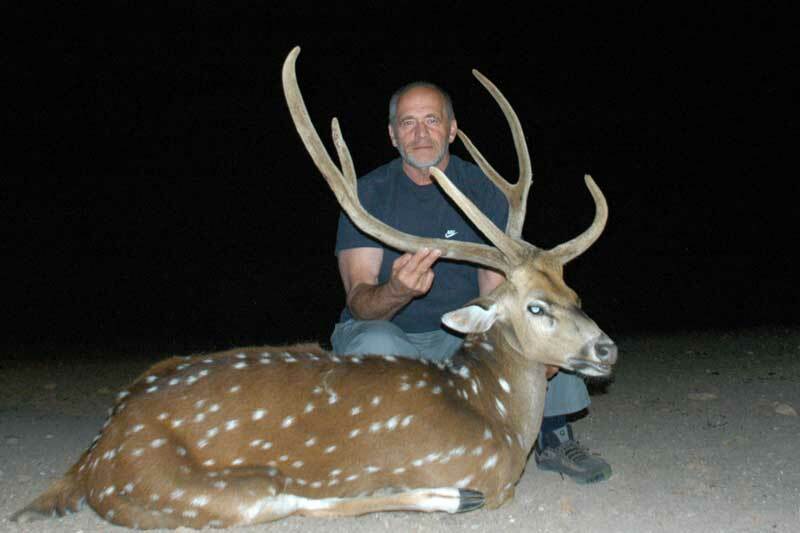 Bucks possess extended barrel-shaped antlers that may reach forty inches in length with 28 to 32 inches being most common. 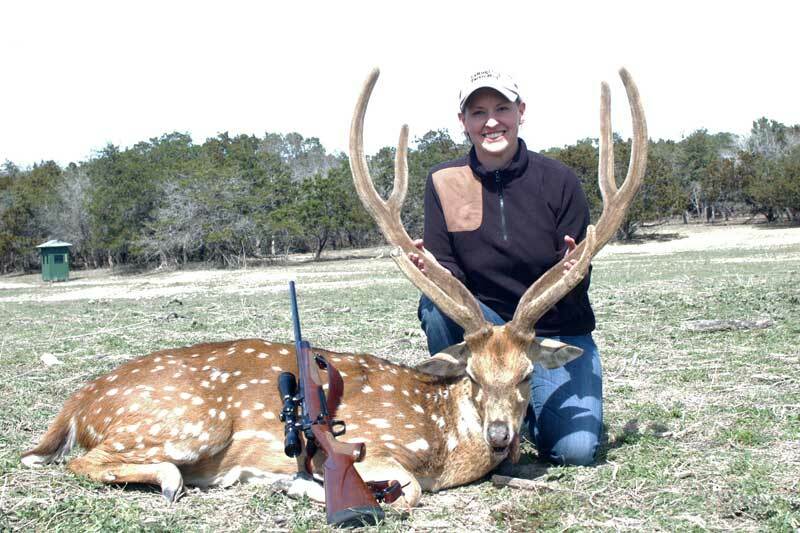 Their antlers typically have three points on each side consisting of a main beam, a caudel tine halfway up the beam, and a brow tine. 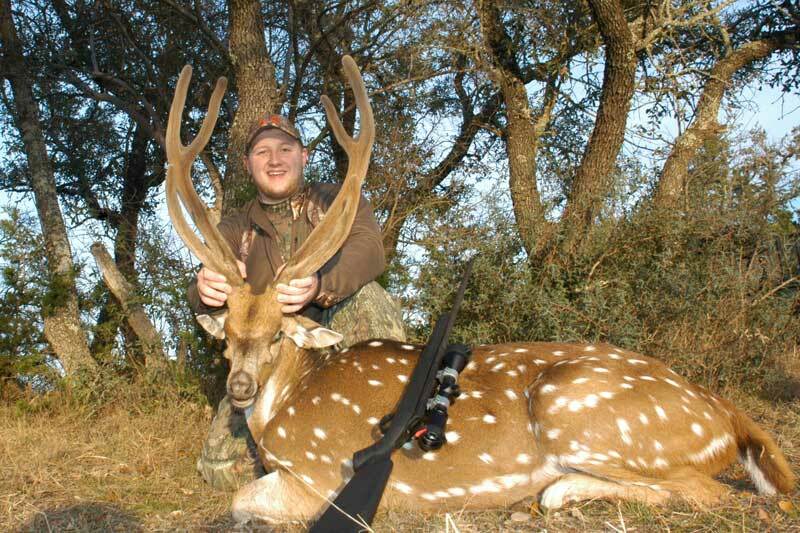 Non-typically they have additional points near the antler bases of one or both antlers. 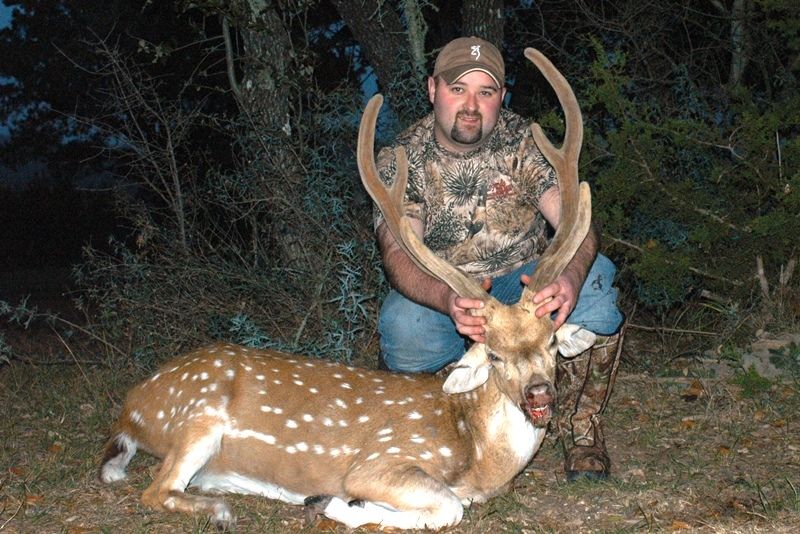 While everyone has their own personal favorite, Axis meat is frequently cited as the best tasting wild game meat. 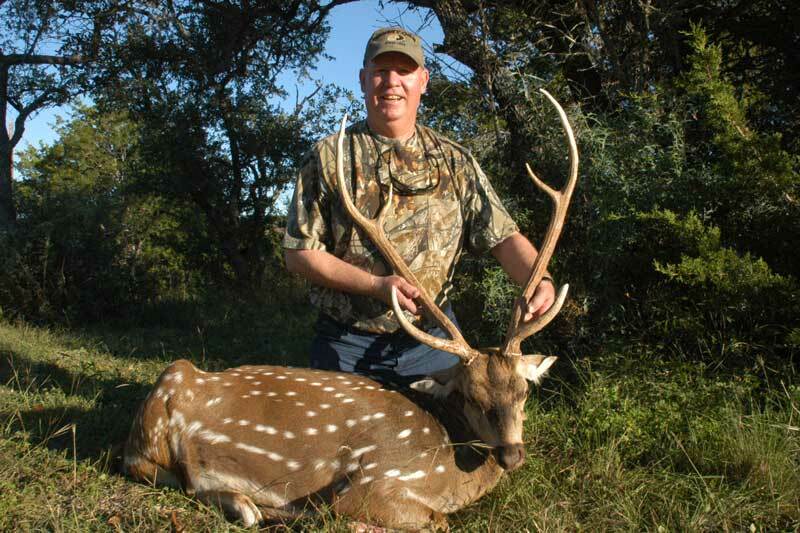 Indigenous to the forests and open grasslands of Bangladesh, Bhutan, India, Nepal and Sri Lanka; Axis were first introduced to Texas in 1932.